In this essential meditation handbook for the 21st century, Osho turns the traditional notion of meditation practice on its head. 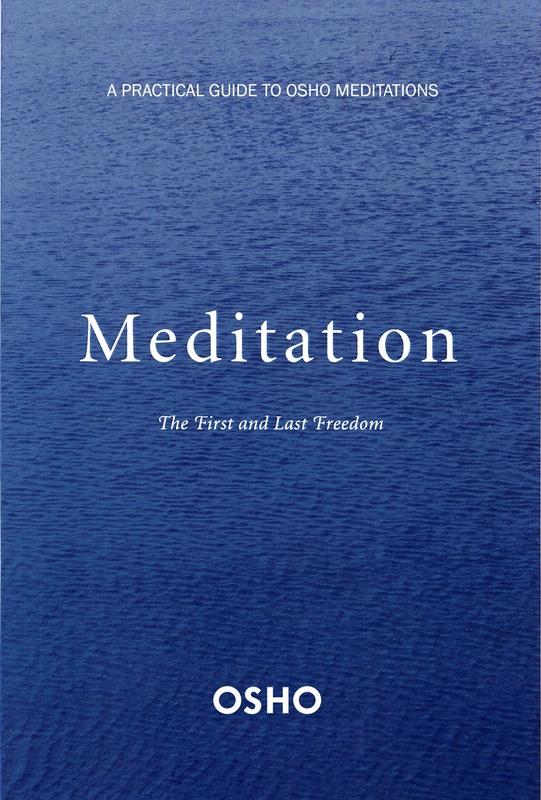 Meditation: The First and Last Freedom shows that meditation is not a spiritual discipline separate from everyday life in the real world. In essence, it is simply the art of being aware of what is going on inside and around us. As we acquire the knack, meditation can be our companion wherever we are-at work, at play, at rest. Meditation contains practical, step-by-step guides to a wide variety of meditation techniques selected by and/or created by Osho, including the unique OSHO Active Meditations which deal with the special tensions of contemporary life. Recognizing that it’s almost impossible for most people these days just to stop and sit silently, these meditations – including the Osho Dynamic Meditation and Osho Kundalini Meditation – begin with one or more stages of vigorous physical activity. This brings our physical and mental energies to a peak, so that the following silence is easy — leaving us alert, refreshed, and newly energized. Newly revised and resized into a handy portable format, Meditation is the perfect text to begin or continue exploring the joys of meditation. This book is available in many languages from different publishers.